Carlos Irwin Estévez or popularly known as Charlie Sheen, is an America born Film and Television Actor. Very popular for his serious roles in movies like Wall Street (1987), Platoon (1986), The Wrath (1986) and comic characters in movies like Hot Shots and Scary Movie 3 & 4. He always in news for various reasons and that includes his movies too. But like his entertaining movies and other headlines, he gave us some interesting foods for our thoughts i.e. quotes. 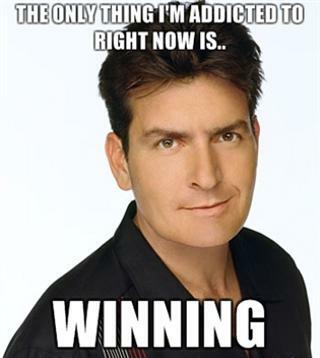 So here I decided to share some of famous Charlie Sheen quotes. I am on a drug. It's called .